Our mission is to provide you or your special loved one with personalized healthcare, whether the need be for skilled nursing, transitional care, independent living, or dementia/Alzheimer’s care. With our unique layout, many of our semi-private rooms are more private than average skilled nursing rooms. 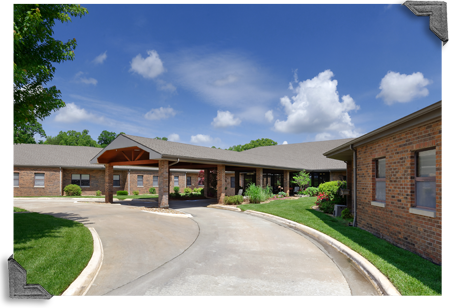 Parkview Healthcare Facility allows active senior adults the opportunity to maintain their independence. Apartments are two-bedroom, two-bathroom units with a full kitchen, electrical appliances, living room, covered patio and oversized one-car garage. Parkview offers rehabilitation services. Speech, physical and occupational therapy are provided by full-time, in-house therapists. The nutritional services staff at Parkview works with a registered dietitian to provide residents meals that are balanced and nutritional. Residents enjoy a variety of activities including exercise classes, bingo, musical entertainment, arts and crafts, hands-on gardening and so much more. Beauty/barber services, laundry services, housekeeping services, pain management, pharmacy services, arranged transportation, family support groups, intergenerational programming and spiritual opportunities. Visiting hours are available 24/7. All doors into the facility will be locked from 9 pm until 6 a.m. for the safety of the residents and staff. Office hours are 8 am until 5 pm.